California's epic battle over plastic bags looks to be over -- as of Wednesday evening 52 percent of voters have upheld the statewide ban on carryout bags. "The voters took a a very strong stand against a very deceptive multimillion-dollar campaign by out-of-state plastic bag makers who thought they could hijack California's initiative and referendum system to protect their profits," says Steven Maviglio, spokesman for the Yes on 67 campaign. In 2007, San Francisco became the first city in the nation to ban plastic bags, and about 150 cities and counties have followed suit. In 2014, Gov. Jerry Brown signed a statewide ban, but it never took effect because immediately after it became law, the American Progressive Bag Alliance (APBA), an industry group that lobbied against the bill, began collecting signatures to stop it with Proposition 67. The proposition's intent is to cut down on the cost of plastic pollution and unify the patchwork of local laws. California taxpayers spend $25 million every year to dispose used plastic bags, according to the Legislative Analyst’s Office. "This is a significant environmental victory!" exclaims Maviglio. "It immediately means that 25 million plastic bags that are polluting California every day will be removed from our waste stream and from our oceans, and our coasts." But, Lee Califf, executive director of the APBA, warns that voters have set themselves up for buyer's remorse. "Plastic bag bans don’t meaningfully reduce overall waste or litter or provide a positive environmental impact, but they do threaten tens of thousands of American manufacturing jobs, hit consumers in the wallet and drive people to use less environmentally friendly carryout options." 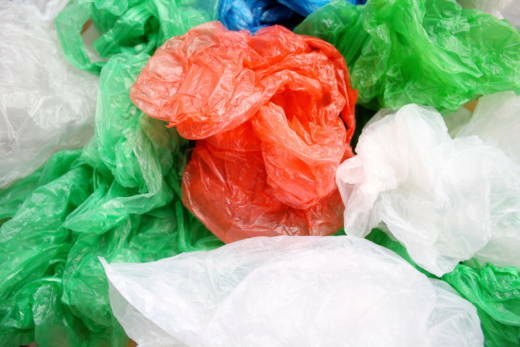 If Proposition 67 passes, supermarkets and large grocery stores will no longer offer flimsy plastic bags. You will need to bring a bag or pay at least a dime for a paper or reusable bag. The 10-cent fee will be waived for low-income folks who pay with a state benefit card. Small grocery stores, convenience stores and liquor stores would have 18 months to comply with the law. Stores could still offer thin plastic bags for bulk goods and produce. All revenue from the bag ban would be directed toward educational campaigns or to cover the costs of providing paper bags. The other ballot measure backed by the ABPA would have funneled that 10-cent bag fee to a wildlife conservation fund, Proposition 65, but the measure failed. "Now, instead of bag fees going to an environmental fund, grocers will keep hundreds of millions of dollars in new profits without providing any public benefit," says Califf. But opponents of 65 thought the measure was a ploy by the plastic industry to confuse voters. "California voters saw right through the motivations of out-of-state corporations and overwhelmingly rejected it [Proposition 65] and kept the law as signed by the governor in place," says Maviglio. California would be the first state in the nation to ban plastic bags.